As the temperature dipped to minus 15.8 degree Celsius, Kargil in Ladakh region was the coldest place in Jammu and Kashmir on Monday, MeT Office said on Tuesday.In Leh, the mercury dipped to minus 15.1 degree Celsius. 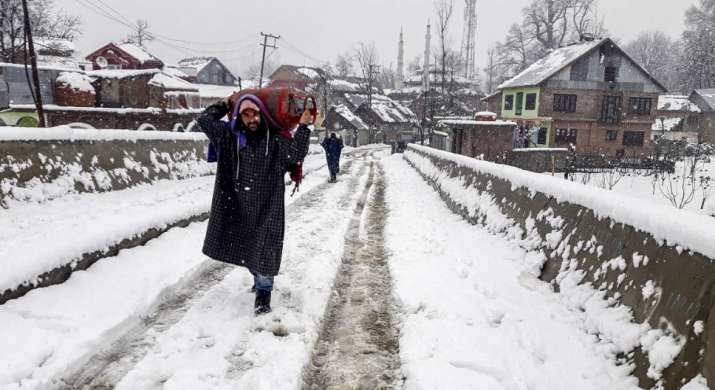 The night temperature in Srinagar settled at a low of minus 4.6 degree Celsius. Qazigund recorded a minus 5.3 degree Celsius and the ski-resort of Gulmarg recorded a minus 7.6 degree Celsius, the weather office said.